Skype on Xfinity: A Viable Alternative for Skype for TV? 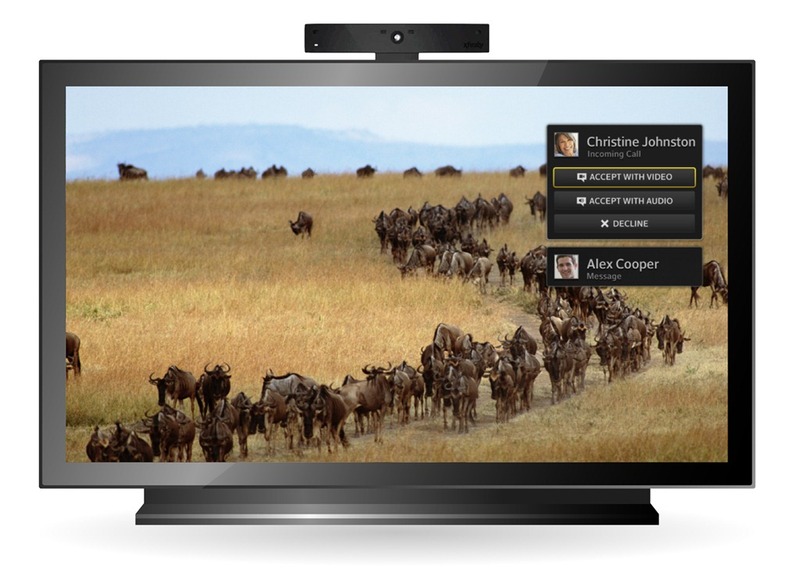 At CES 2010, Skype announced the first agreements to offer Skype calling via an HDTV set. Initially Skype for TV was only available on very high end, Internet-enabled Samsung and Panasonic sets, setting a significant price and device barrier to adoption. At CES 2011 additional Skype for TV partners were announced as well as the availability of Skype for TV on BluRay players from Sony and Panasonic, reducing the price barrier significantly. At an analyst conference in July 2011, Skype CEO Tony Bates announced that Skype for TV was embedded into over 50 million production TV sets. At this year’s CES 2012 it became apparent that vendors were offering devices to make Skype for TV more universally accessible. In all these cases Skype was incorporated as an application on the device’s Internet applications firmware and one had to acquire a webcam appropriate to the device. Since there was no “OS standard” the webcams, available on the Skype Shop, are specific to each vendor’s device. Skype is operated through the device’s remote control. A major breakthrough at CES 2012 was the launch of TelyHD, offering Skype for TV for any HDTV set complemented by access to a 1.2Mbps Internet upload speed. A single piece of hardware incorporated the Skype application, the webcam and the Internet interface. And it further lowered the cost barrier to using Skype on any HDTV set. Optionally one could add a wireless or wired keyboard (I bought a small Logitech keyboard for $25.00) although all actions could be managed through the accompanying remote control. In all the above cases, there are no monthly charges; calls can be made to any other Skype client on PC’s, smartphones or other TV’s. TelyHD also includes the ability to make SkypeOut calls to landlines and mobile phones; others may also. One differentiating feature amongst the vendors is the ability to watch TV while making a Skype call. One common limitation is that any Skype for TV implementation cannot be a participant on Skype Group Video calls. Alternatively I can use Skype on my TV for a single fixed initial cost (webcam and device) using any of the existing Skype for TV offerings mentioned above. It’s a tough sell to get any additional “monthly fee” services signed up beyond basic cable and Internet; especially when there are alternative ways to make “free” Skype-to-Skype calls through a PC or smartphone/tablet. It requires a significant marketing budget on the part of the cable provider. The main value-add for customers is the provision of the necessary hardware without the need to determine and acquire what is required for making Skype calls from a TV. It adds one more physical box to the TV configuration; it’s not included in the standard standard cable TV adapter box. All the user interface and social issues mentioned two years ago in my initial post on Skype for TV remain valid. Without access to SkypeOut, calls can only be made to others who already have a Skype account. It would appear that Comcast wants their customers to continue to make PSTN calls using their Xfinity Voice service. While being rolled out across the U.S., it’s initially only available in ten urban U.S. markets. Bottom line: Comcast has a significant marketing challenge to bring in new Skype users who do not currently have Skype accounts. It will be an interesting business model experiment to see what incremental Skype usage it brings, given both the monthly cost and the social issues around incorporating Skype into ongoing TV viewing. As for an offer on Rogers, using TelyHD on their 2Mbps upload speed service remains my lowest cost choice. I don’t think there would be enough uptake, especially when considering Rogers much lower subscriber base, to justify in investing in this type of offering. 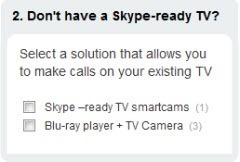 The Skype on Xfinity User Guide provides more details.